babus of india: Know more about chairman, members of 7th Pay Commission; should babus expect a massive pay hike? Know more about chairman, members of 7th Pay Commission; should babus expect a massive pay hike? The pay commission will be headed by retired Supreme Court judge Ashok Kumar Mathur who had earlier served as chairman of Armed Forces Tribunal. The other men and women who are going to play some critical roles in giving the government employees a new pay structure will be current petroleum secretary and IAS officer Vivek Rae (appointed a full time member), director of the National Institute of Public Finance and Policy (NIPFP) Rathin Roy (part-time member) and newly appointed secretary of the commission and Indian Railway Accounts Service (IRAS) officer Meena Agarwal. Vivek Rae, a 1978 batch AGMUT cadre IAS is retiring as petroleum secretary in the end of this month. Rae, a post graduate in economics, worked in the PMO during VP Singh’s time and later worked as a joint secretary both in the department of revenue and expenditure. Rae also served as chief secretary of Andaman and Nicobar islands between 2008 and 2010 before joining the Centre. Meena Agarwal, who has been appointed as the secretary of the commission, is an IRAS officer and wife of former IAS officer of 1979 batch OP Agarwal. Ms Agarwal had earlier worked in the department of expenditure under the then secretary Sushama Nath, who incidentally was the member secretary of the 6th pay commission which had submitted a humongous 658-page-long report on March 2008, hiking 21% salary of the Central government employees. The new 7th pay commission will take about two years to submit its report, and the pay hike is likely to be effective from January 1, 2016. The actual terms of reference of the commission are yet to be notified, and according to sources in the know, the government could notify it in the next couple of days. For the record, the First Pay Commission was constituted in 1956. The economic situation in which the pay commission is being set up, does not necessarily give a lot of hope for the government employees. 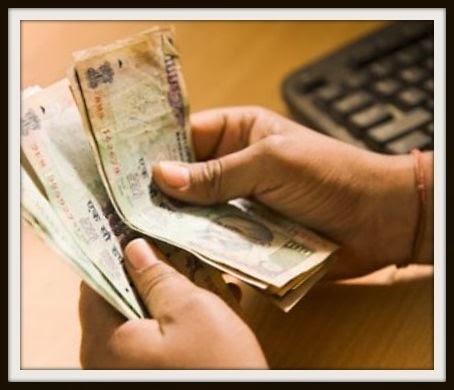 In fact, the 6th pay commission in its report mentioned that the Central government constituted it “at a time of fast and accelerating economic development, emerging trade and commercial practices, increasing globalization of trade and industry with greater emphasis on increasing investment flows and transfer of technology.” But the current economic situation is not so vibrant. The GDP growth is slowing down, foreign investments are drying up, and rising inflation and the government’s fiscal health have remained as major concerns. So, can the bureaucrats expect a massive pay hike at a time when job security and pension have become buzzwords again? The only hope is a fast economic turnaround in the next two years, but if that does not materialize, government employees should not expect much in their personal kitty. And yes, you may expect a more credible performance-linked variable pay as it is often seen in the private sector. After the economic slowdown, the government jobs have become very very attractive once again. The 6th pay commission hike and slowdown have stopped IAS, and other senior officers leaving their jobs to join private sector. Alok saxena, an Indian Postal Service has done the Department of Posts proud by having contributed in great measure in authoring the 6th Pay Commission. The officer is ready to spread his wings and join 7th CPC as he has received feelers to this effect. Alok Saxena fulfills all attributes listed in the Competency Dictionary for Civil Services, prepared by the DoPT in collaboration with the UNDP, as he has the “ability to listen and understand unspoken feelings and concerns of others”. He is an asset to Department of Posts and a gem of a person. c. Interview Marks should not exceed 1/10th of total marks of written examination. Written examination should be NON - DESCRIPTIVE as awarding marks by checker can be unfair. d. Departmental / Internal promotional exams should be made compulsory, conducted ONLY by UPSC / All India institute.